There are many variations that can be done with this recipe and it is useful in many drinks and dishes. We like it in our cocktails and as a sweetener for our tea. Place water in sauce pan and heat just to vigorous steaming, just before boiling then turn town to medium-high. Stir in brown sugar until dissolved then stir in honey until dissolved. 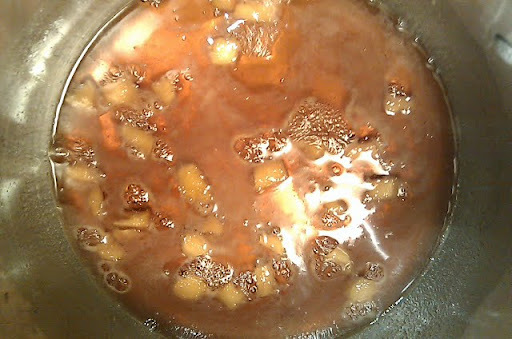 Drop in ginger and bring liquid to simmer; adjust heat to keep at simmer but not boiling. Simmer for ten minutes or longer depending on taste you want. A few minutes before you take it off the heat, add drops of lemon concentrate and juice and mix, allow to come back to simmer for another two minutes. 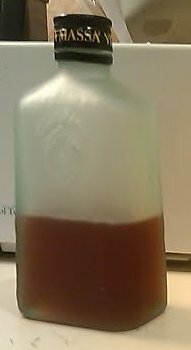 Take off heat and allow to cool a bit before straining into a jar or bottle tempered with hot water. Allow to cool then refrigerate. Should last at least a month or two in the fridge. The most comforting remedy for nausea and vomiting can be made from these simple, natural ingredients. Ginger is a known natural remedy for nausea. Mix it with hot green tea for a warm soothing drink that will hydrate you and help you feel better. Save ginger slices for other uses. 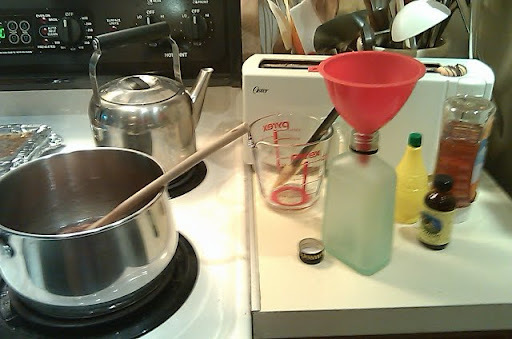 Make sugared by tossing in sugar, brown sugar or raw sugar. Place in airtight container and put in fridge.